The Computer Science and Telecommunications Board is where the nation turns for independent and informed assessments of computing, communications, and public policy. Quantum Computing: Progress and Prospects assesses the current progress and possible future pathways towards developing a general-purpose quantum computer as well as its potential implications. Recoverability as a First-Class Security Objective summarizes presentations and discussions from a Feb. 2018 Forum on Cyber Resilience workshop on how to restore normal operations and security following an attack or failure of software or hardware. 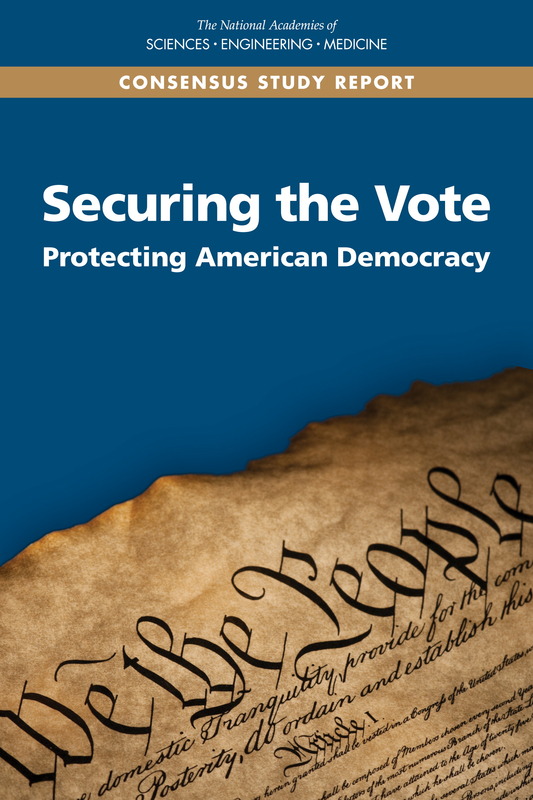 Securing the Vote: Protecting American Democracy recommends steps that the federal government, state and local governments and election administrators can take to make elections more secure, accessible, reliable, and verifiable. Opportunities from the Integration of Simulation and Data Science: Proceedings of a Workshop examines current and emerging science applications that span simulation and data-driven science, their characteristics, and future approaches for cyberinfrastructure to support them. Data Science for Undergraduates: Opportunities and Options offers a vision for the emerging discipline of data science at the undergraduate level and outlines considerations and approaches for academic institutions and others to help guide the ongoing transformation of the field. 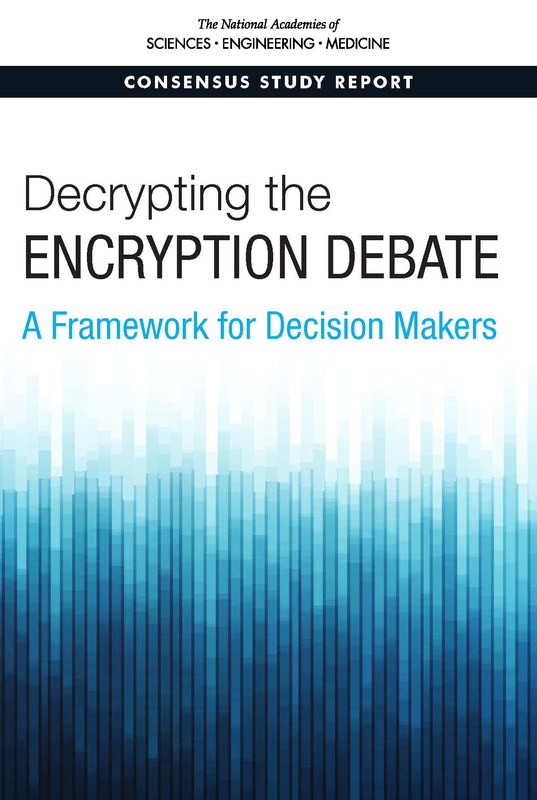 Decrypting the Encryption Debate: A Framework for Decision-Makers provides a framework for evaluating proposals to provide authorized government access to the plaintext of encrypted communications and stored data. 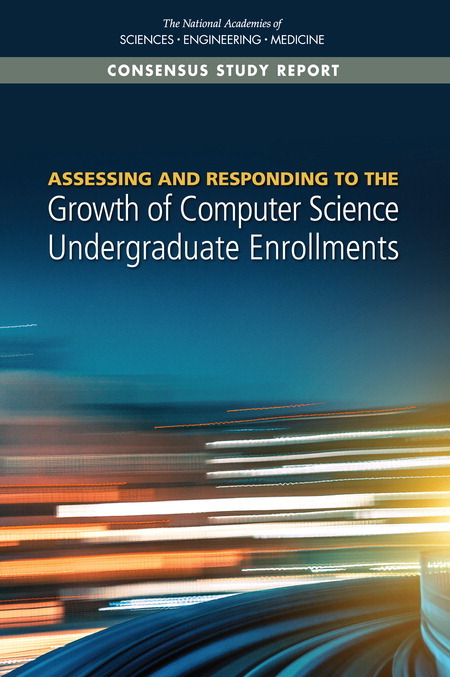 Assessing and Responding to the Growth of Computer Science Undergraduate Enrollments examines the increasing enrollments in undergraduate CS courses and majors, underlying drivers, and associated diversity implications, with recommendations about how best to respond. 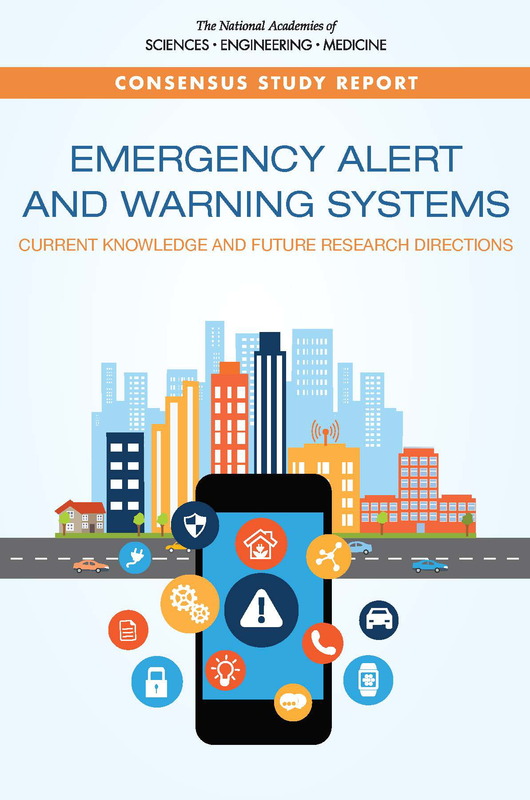 Emergency Alert and Warning Systems: Current Knowledge and Future Research Directions explores how a more effective national alert and warning system might be created and sets forth a research agenda to advance the nation’s alert and warning capabilities. Envisioning the Data Science Discipline: The Undergraduate Perspective: Interim Report offers perspectives on the state of undergraduate data science education and invites comments to inform the study's final report on future directions. Software Update as a Mechanism for Resilience and Security: Proceedings of a Workshop. Software Update is an important mechanism by which security changes and improvements are made in software, and this seemingly simple concept encompasses a wide variety of practices, mechanisms, policies, and technologies. To explore the landscape further, the Forum on Cyber Resilience hosted a workshop featuring invited speakers from government, the private sector, and academia. This publication summarizes the presentations and discussions from the workshop. Foundational Cybersecurity Research: Improving Science, Engineering, and Institutions focuses on foundational research strategies and on building collaborative links across disciplines and between research and practice. Information Technology and the U.S. Workforce: Where are We and Where Do We Go from Here? explores current and emerging information technology capabilities and their interplay with various dimensions of work, and highlights areas where new research and data would help to improve understanding and inform future decision-making. Cryptographic Agility and Interoperability: Proceedings of a Workshop. In May 2016, the Forum on Cyber Resilience hosted a workshop on Cryptographic Agility and Interoperability. Participants discussed the drivers and technical and societal implications of increased cryptographic agility. This publication summarizes the presentations and discussions from the workshop. A 21st Century Cyber-Physical Systems Education describes the knowledge and skills required to engineer increasingly capable, adaptable, and trustworthy systems that integrate the cyber and physical worlds and recommends paths for creating the courses and programs needed to educate the engineering workforce that builds them. Data Breach Aftermath and Recovery for Individuals and Institutions: Proceedings of a Workshop. In January 2016, the Forum on Cyber Resilience hosted a workshop on Data Breach Aftermath and Recovery for Individuals and Institutions. Participants examined existing technical and policy remediations, and they discussed possible new mechanisms for better protecting and helping consumers in the wake of a breach. Speakers were asked to focus on data breach aftermath and recovery and to discuss ways to remediate harms from breaches. This publication summarizes the presentations and discussions from the workshop. Exploring Encryption and Potential Mechanisms for Authorized Government Access to Plaintext: Proceedings of a Workshop summarizes presentations and discussions at a June 2016 workshop. Continuing Innovation in Information Technology: Workshop Report summarizes presentations at a March 2015 workshop building on earlier CSTB work that illustrates how fundamental research in research technology, conducted at industry and universities, has led to the introduction of entirely new product categories that ultimately became billion-dollar industries. Future Directions for NSF Advanced Computing Infrastructure to Support U.S. Science and Engineering in 2017-2020 makes recommendations aimed at achieving four broad goals: (1) positioning the United States for continued leadership in science and engineering, (2) ensuring that resources meet community needs, (3) aiding the scientific community in keeping up with the revolution in computing, and (4) sustaining the infrastructure for advanced computing.